800mm f/5.6 L IS Faulty Reasoning; Could It Be? Join Jim Neiger and me on Lake Blue Cypress to enjoy some great Osprey photography and learn a ton while having fun in a beautiful location. Click on the composite image to enjoy a larger version. Two 3+ hour shooting sessions on a beautiful cypress lake teeming with Osprey; Barred Owl almost guaranteed. Red-shouldered Hawk and Pileated Woodpecker likely. Be sure to follow the link to Jim’s gallery below. 2 great leaders: Captain Jim Neiger and Arthur Morris. Available dates: April 8, 9, 11 & 12, 2014. So far one photographer signed up for Saturday, April 12; join us and enjoy a $150 savings. Each full day booking includes a delicious healthy lunch at my home. Overnight lodging at my home is available cheap on a limited basis for folks who would like to do more than one day. Please inquire via e-mail. 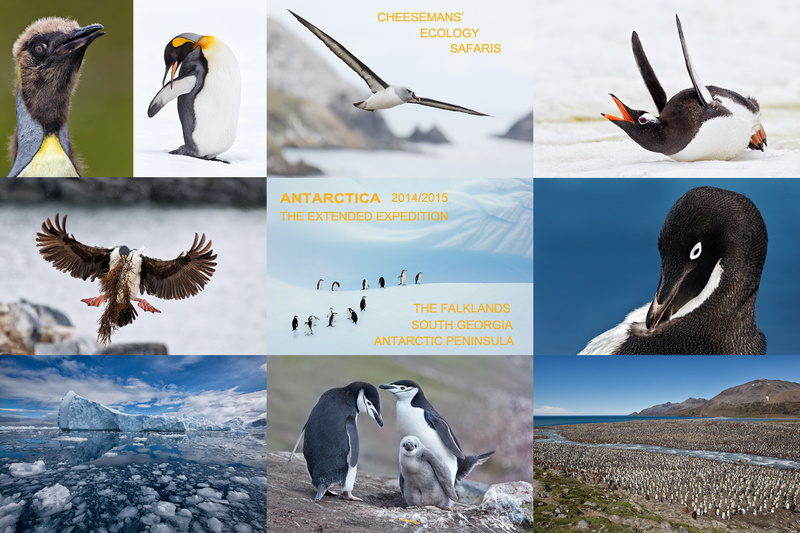 One or two photographers may hire the boat on a private basis by paying the full day rate for 4: $1600. Because of the late date payment in full by personal check is due now. Please e-mail for additional details of info. 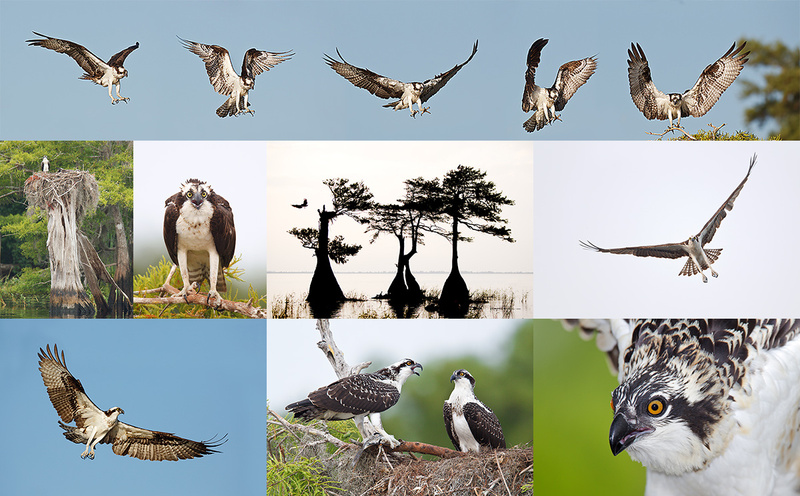 Check out Jim Neiger’s Osprey Heaven/Lake Blue Cypress Gallery here and you will be amazed as to the quality of the flight and action images and the possibilities. Join me at Gatorland for a ton of learning. I will have my flash along…. Click on the composite image to enjoy a larger version. Saturday March 29 and Saturday April 4, 2014. 7:15am till 10:15am & 4:00pm till dusk. Lunch, image review, and Photoshop session included. Limit 6. Small groups are likely: $399. Both: $749. Gatorland is so good right now that I am going back the next two Saturdays (March 29 & April 4). The Snowy and Cattle Egrets are in way early and there are many in full breeding plumage. 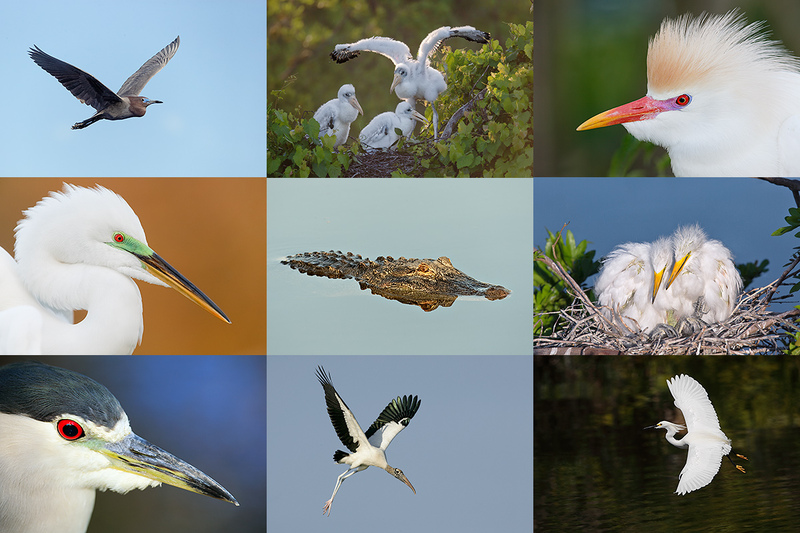 Here’s the story: last week there were about two dozen photographers at Gatorland on Saturday past. Aside from two decent photographers–I can tell by where you are pointing your lens…, nobody had a clue as to how to make a good image…. Yesterday it was even worse; pretty much no one had a clue. Most folks just stand in one spot and point and shoot. Without regard for light angle or background. Join me on this, the 3rd Gatorland Short Notice Saturday Full-Day In-the-Field Workshop and you will learn to spot the good situations, to choose the best perspective, to see and understand the light, to get the right exposure every time after making a single test exposure, and to design pleasing images by mastering your camera’s AF system. A big part of the above is that you will learn how and why you must work in Manual mode 90% of the time at Gatorland. That is exactly what Jim Weerts learned on Saturday past. At lunch we will review my images, take a look at five of your best images from the morning session (for those who opt to bring their laptops), and process a few of my images in Photoshop after converting them in DPP. That followed by Instructor Nap Time. Last Saturday all 3 folks had a great time and learned a ton. And the weather for this coming Saturday is looking good. Payment in full via credit card is due upon registering. Please call Jim or Jennifer at 863-692-0906 to register. Ask for me if you have any questions. Note. I will be devoting a whole post to that bird soon; have not had time to process them yet…. Thanks, Artie, for your hospitality, the Gatorland adventure, and sharing your expertise! I did indeed fall into it and for that I’m most appreciative. My father told me a long time ago that when I retire, I must retire to something else! Well, photography has filled the bill for me and the challenge to keep learning is the best part of it. You certainly pushed me hard last weekend and I hope to keep up with this adventure including with your blog. I did review the “Working in Manual Mode” material on your blog and will focus on this more as time allows. The best part of the week-end included learning to look for the distractions in the background, understanding the wind direction and what it presents, and lining up my shadow with the target. Using Manual mode is a new favorite particularly with the changing situations like lighting, background and birds or wildlife. Learning new techniques with the 5D MK III (like rear focus and changing AF points), plus adding more knowledge about some of the rear buttons on the camera all added to the experience. Previously, I had not been able to make any changes on the fly that finally happening now, thanks to somebody teaching me how to do that! Beyond all of this, seeing the subject in new ways and new dimensions just opens up more fun! Thanks my new friend, for so much! I loved it! And “Thanks” for your talents! Note: Jim just signed up for the Holland IPT! This gorgeous adult Wood Stork was photographed at Anhinga Trail on this year’s Canon Digital Learning Center Everglades Destination Workshop with the tripod-mounted Canon EF 800mm f/5.6L IS USM Autofocus lens, the Canon 1.4x EF Extender III (teleconverter), and the Canon EOS-1D Mark IV now replaced by the Canon EOS-1D X digital SLR . ISO 400. Evaluative metering at zero as framed: 1/500 sec. at f/16 in Manual mode. Friend and multiple IPT veteran Larry Master is offering a mint condition Mint Canon 800mm f/5.6L IS Lens for sale for $8750. This great lens, my favorite for 3 years, the Canon EF 800mm f/5.6L IS USM lens, sells new at B&H for $13,218.00. Yesterday they were offering one in mint condition for a ridiculous $10,249.90; it sold overnight. Go figure. Larry’s lens will save you a ton of dough and you will have a great lens with lots of reach. Larry is selling the lens as he purchased the 600 II on my advice. The sale includes a Lenscoat, an Aquatech soft lens cap that fits like a glove, a Kirk Enterprises LP30 plate (not recommended by me), the lens trunk and leather cover, and insured shipping by UPS Ground to US addresses only. Personal checks only; your new lens will be shipped only after your check clears. Larry is also offering a Canon 400mm f/4 IS DO lens, used perhaps twice since it was purchased new, in absolute mint condition for $4799. It retails new for $6,499 at B&H. The sale includes the fabric lens case, all original materials, a LensCoat, and insured shipping by UPS Ground to US addresses only. Personal checks only; your new lens will be shipped only after your check clears. I owned and used a 400 DO for years; at 4.28 pounds it is a great lens for folks wishing to gain extra reach without excessively heavy gear…. I used it often with both TCs and made sharp images. Interested folks may contact Larry on his cell phone at 518-645-1545 or via e-mail. Selling your used (or like-new) photo gear through the BAA Blog or via a BAA Online Bulletin is a great idea. We charge only a 5% commission. One of the more popular used gear for sale sites charges a minimum of 20% plus assorted fees! Yikes. The minimum item price here is $500. If you are interested please e-mail with the words Items for Sale Info Request cut and pasted into the Subject line :). Stuff that is priced fairly–I offer free pricing advise, usually sells in no time flat as did Dennis Cassidy’s 500 II recently on the blog. It was gobbled up in 5 minutes. 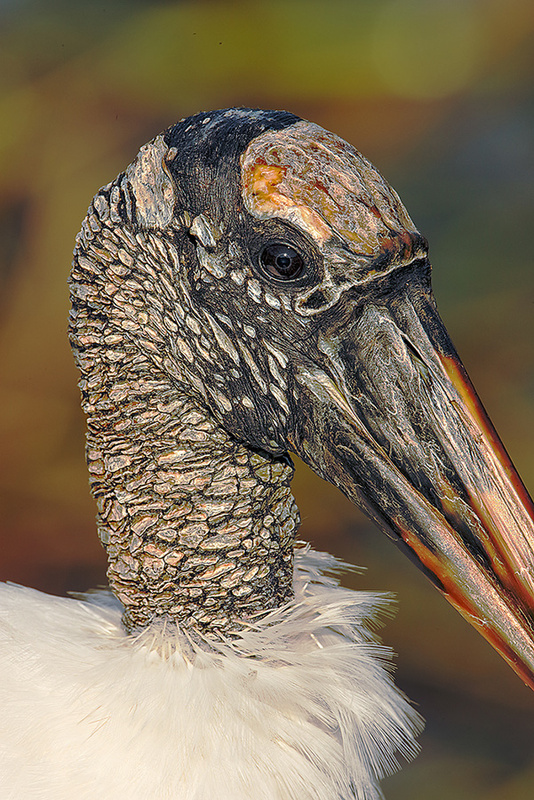 The Wood Stork pictured above was a beautiful bird; the colors and textures on the head inspired me to go long and to create a tight, sharp head portrait. The darker tones as they came out of the camera needed more detail. First I ran a Curves Adjustment layer and a layer of NIK Color Efex Pro Detail Extractor at about 30% I kept the layers intact so that I could go back and reduce the Opacity as needed. I added Regular Layer Masks to these layers so that I could fine tune the results. I finished up with some Tim Grey Non-destructive Dodging and Burning till I got it perfect. Or at least perfect to my eye. The trick is to avoid overdoing things, especially with the Detail Extractor. That got me to thinking. I quickly realized that for folks who are not comfortable using a 2X III teleconverter or who simply cannot create sharp images with the 600II/2X III combo would be far better off sticking with the 800 or purchasing a used one. Why? They will enjoy great reach with larger in the frame subjects. Thanks Mike, and thanks Jim. 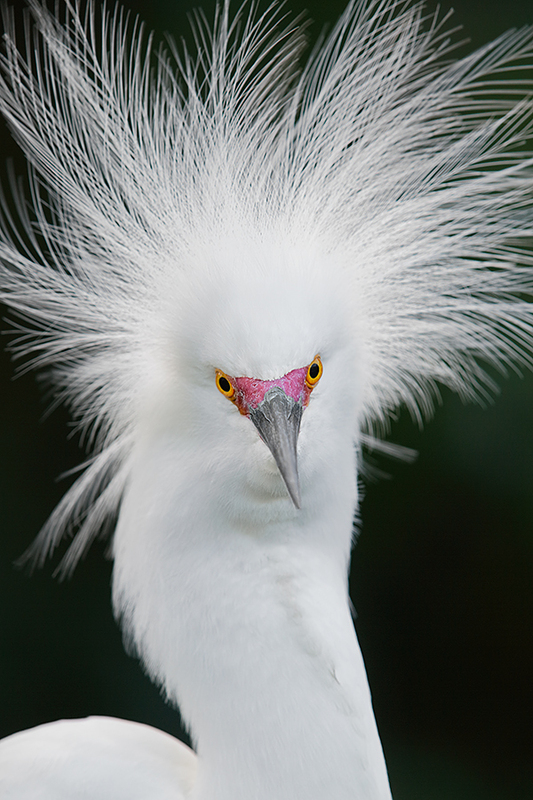 This displaying Snowy Egret image was created with the Gitzo 3532 LS carbon fiber tripod, the Mongoose M3.6 head, the Canon EF 600mm f/4L IS II USM lens, the Canon 2x EF Extender III (Teleconverter), and the Canon EOS 5D Mark III. ISO 400. Evaluative metering +1 stop as framed: 1/60 sec. at f/10 in Manual mode. Color Temperature: AWB. Fill flash with Better Beamer at -3 stops in ETTL. Canon Speedlite 600EX-RT with the Canon CP-E4 Compact Battery Pack for faster re-charging times. Mongoose Integrated Flash Arm with the Canon OC-E3 Off Camera Shoe Cord 3. Central sensor (by necessity) Expand/AI Servo/Rear Focus on the base of the bill in front of the eyes where the pink meets the gray active at the moment of exposure. Click here if you missed the Rear Focus Tutorial. Be sure to click on the image to see a larger version. In the It’s Been a Long Time: Flash Re-visited blog post, I share my experience of using a flash after a two year absence. There will be lots more on this topic in coming blog posts over the next week or two at least. For the past three plus months I have been putting in 20 to 25 or more hours per week into the blog to ensure that it remains informative, timely, and beautiful. Many of the educational features that formerly appeared in BAA Bulletins now grace the BAA Blog. If you are not subscribed, you are missing a ton of great stuff almost daily. You can subscribe to the blog posts by clicking here. If you have a problem subscribing, please contact us via e-mail. If you doubt me or have been missing out, click here and scroll down…. This morning’s blog post, The Great Potential of Digital Capture; Can This Barred Owl Image Be Salvaged?, marks 117 straight days with a new educational blog post. With so many folks getting in the habit of using our affiliate links it is easy to keep the streak going. To show your appreciation for my efforts both on the blog and with the Bulletins, we ask that use the B&H and Amazon links on the right side of each blog post and Bulletin. Please check the availability of all photographic accessories in the BIRDS AS ART Online Store. We sell only what I use and depend on. We will not sell you junk. We know what you need to make creating great images easy and fun. And we are always glad to answer your gear questions via e-mail. Note: we almost never have Mongoose M3.6 heads in stock. We sell them as fast as we get them. The best way to ensure getting one of these great heads for your intermediate or super-telephoto lens is to call Jim and place your order. You are then ensured of getting one from our next shipment. We will not of course bill your credit card until the item ships or drop-ships. I would of course appreciate your using the B&H product-specific links on the blog posts and in Bulletins for all of your major gear purchases and our Amazon logo-link for your household, and personal purchases. For the photographic stuff mentioned in the paragraph above we, meaning BAA, would of course greatly appreciate your business. Here is a huge thank you to the many who have been using our links on a regular basis and visiting the BAA Online store as well. 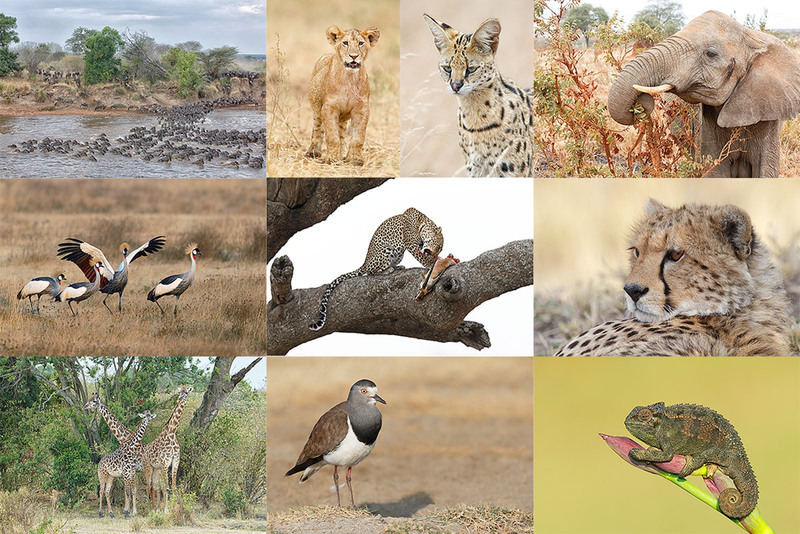 Join me for the 2014 Tanzania Summer Safari! Click on the image to enjoy a larger version. Breathe deeply, bite the bullet, and live life to its fullest; we all get only one ride on the merry-go-round… Join me on this great trip. Click on the image to enjoy a larger version. I just wanted to send kudos to both you and Jim Neiger for the excellent E-book that you referenced in a recent BAA newsletter. I immediately purchased a copy, and have finished my first read and will now read it a second time just to make sure I’m ready to take it to the field. My favorite haunt is Squaw Creek NWLR and I’ve stumbled & fumbled with flight photos using both tripod & monopod as support for my Canon 7D, and just can’t seem to come up with real sharp photos using that method. Jim’s text is well written, and really puts flight photography in a whole new perspective for me. I’m 76 years old, and I’m sure I’ll have to experiment with the handholding methodology a bit, but I’m excited at the prospect of applying Jim’s methods. Art, I have a Sigma APO 100-300mm F/4.0 EX IF Lens and I also have a Canon EF 200mm F/2.8 L Lens (plus both the 1.4 and the 2.0 tele-extenders) and I’m considering possibly selling both and upgrading to a better lens. The reason for my choice in those two lenses was purely for the weight factor. While recently using a friends Canon 400mm lens,I handled the weight pretty well… and perhaps with more “swing & shoot” exercise, I may be able to get better at Jim’s handholding technique. Thanks for your inquiry, and thanks once again for the heads up on a great e-book. Artie: I’m still not sure your reasoning about the 600 versus the 800 is faulty. Above you talk about people not being comfortable using the 2X TCIII, but the 1.4X TCIII is easier to use, and still gets you more reach than the 800 f/5.6 L IS; you get 840 mm at f/5.6 if I’ve done the arithmetic properly, and you still have more versatility and less weight.